Is it ever too late to dream when you’re already a mother? The title of a parent never hinders a person to pursue their greatest perhaps in life. It is never the end mark of the chase for people’s dreams. Author Laura Disbro, a mother of two, proves this to be a fact through her blog: www.lauradisbro.com/blog. Disbro finds inspiration everywhere that she radiates of her passion. Her artistic mind allows her to wander beyond the borders of imagination, giving birth to a vivid, dreamy world of her own. The unrealized passion of writing has become a dream she expected the least to ever live. The author herself is an inspiration to moms and is the living proof that even the busiest super women out there are never too busy to forget about their dreams. 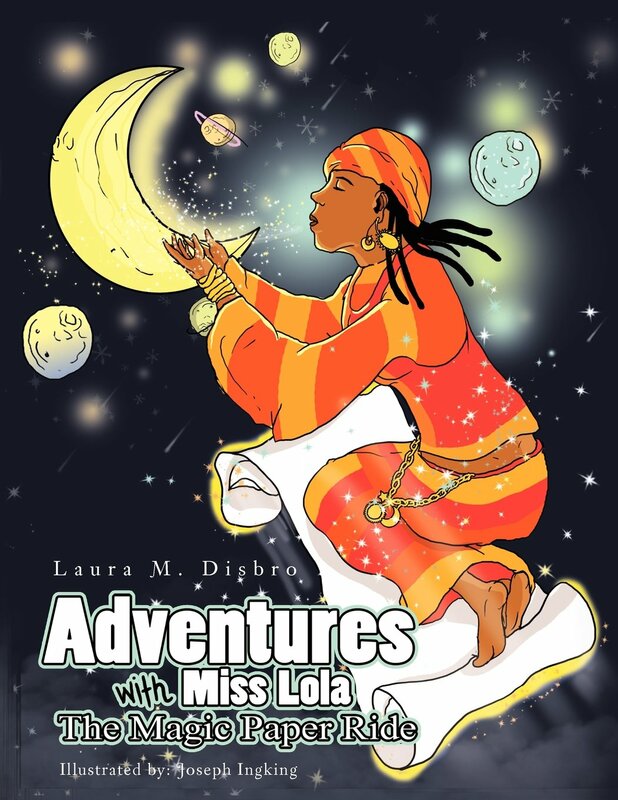 Be acquainted with Laura Disbro’s words and set the fire of your passion burning brighter than ever by visiting her website, inspired by her book, “Adventures with Miss Lola: The Magic Paper Ride”. You may purchase a copy of her book for only $15.99 (hard copy) and $3.99 (eBook). Laura M. Disbro was born and raised in Northeast Ohio. She is not a stranger to the writing world. She is a published poet and wrote for a local magazine for 5 years. Writing in a journalistic way became very easy to her. She also did her own photojournalism, as taking photos was one of her hobbies. She returned to school in 2004 at the age of 42, Auburn Career Center to obtain her GED. It was there that her instructor, Michelle Rodewald discovered her gift of words. She was asked to consider submitting her poetry and writings for publication in a book called Beginnings, published by Kent State University. 3 years in a row her writing was accepted and published. Also allowing her to attend the writers’ conference with her instructors in Columbus, Ohio. In 2005-2010 she was a writer of The Heart of Lake County Magazine, publisher Donna L. Robinson. Specifically, she writes about interviews of people such as Judges, happenings in the community, features of people, and other versatile topics depending on requests. Her hobbies include reading, writing, music, crafting and is an avid basketball fan. She is a strong advocate for literacy, especially for the young. She is a widow with 2 grown sons. She currently lives in Willoughby, Ohio with her youngest son, Joshua. Barnes and Noble invited Laura to be part of a local authors book signing, 2 years after she published the book. The book has the opportunity to be promoted on the local level in Northeast Ohio.